Gotham season 2 episode 15 brought us a Riddler in full force, as Jim Gordon continued to find himself in a mess of trouble. So let’s discuss Gotham season 2 episode 15! I have to say this episode escalated rather quickly. First off, Nygma has gone full Riddler on us, as he tried to deal with his Jim Gordon problem. Nygma has formed this scenario in his head in which Jim is solely out to get him and is playing games with Nygma. So what does Nygma do? Play back. The Riddler is a character who is normally sick of being under-valued, underestimated. It’s not about money or power, it’s about knowing that he is smarter than the people around him. That’s what helps his ego, that’s what keeps him going. So for him to outsmart Jim Gordon was a major achievement for Nygma. Jim has been in a tough place for a lot of the season. But it’s hard to feel sorry for the guy when he made such a huge mistake. He couldn’t balance the darkness inside of himself, and he did the unthinkable. Now he’s paying for that. I just want to know, how will Jim Gordon get out of this situation? We know that he will, who else will accompany Batman on rooftops later on? He may have not killed the cop, but he is guilty of killing Galavan. But then here’s the catch, how can Jim be guilty of murder if Galavan isn’t dead? We all know that Strange will eventually bring back Galavan, and once he starts roaming the streets again it could help Jim out (only if Galavan doesn’t talk that is). That’s the only way I see Jim getting out of this situation. That and Harvey eventually figuring out Nygma was the bomber. When Jim does get out of this situation, the lessons learnt will stay with him for a long time. Jim needs to realise that there is a line that separates us from the monsters, that we can’t make rules convenient to ourselves when we want to cross it. There’s an undeniable darkness to Jim, but he can’t give in to it. And a big thing that helps Jim stay in the light is Lee. Unfortunately he just pushed her away! But Lee is a strong woman and will probably make sure to stay in his life. The other part of Gotham season 2 episode 15 focused on the new and improved Penguin! He just found his father and his new weird family. Obviously this nice Penguin won’t be staying for long. Penguin has always been a character who only felt good when he was surrounded by wealth. Well this may be his way into that again. If A Clockwork Orange taught us anything, it’s that you can’t change someone’s true nature. And eventually Penguin’s true nature will reveal itself again. Overall Gotham season 2 episode 15 was a good episode (maybe weirdly paced) that definitely accelerated the story a lot. Jim is now an ex-cop in prison, so it’ll be interesting to see how he deals with that next week! I think Gordon’s saving grace this time will be Bullock. He’s great, but doesn’t get that much time to really shine, ya know? This is a perfect opportunity to have him, a man Riddler underestimates, pull the rug out from under him, and he *is* a pretty good detective. 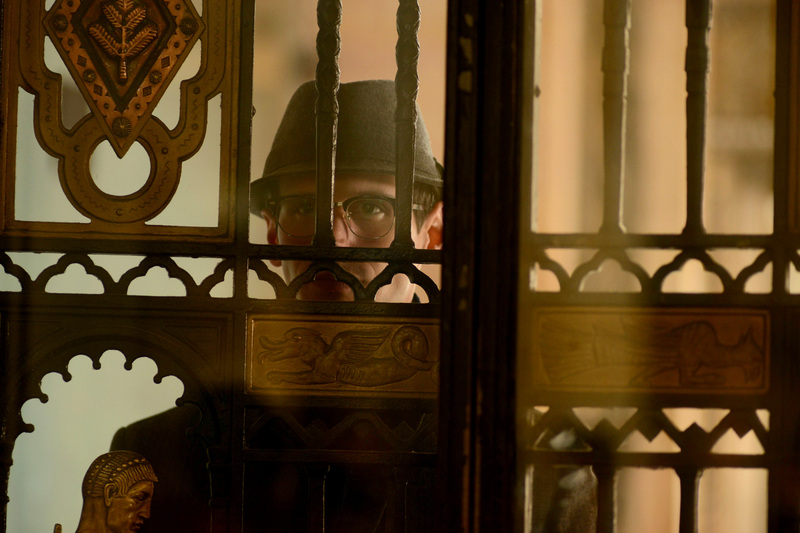 Expose Nygma, and the case against Gordon collapses.